This entry was posted in Anwar Ibrahim, Azly Rahman, Character and Integrity, Civil Rights, civil society issues, Democracy, Ethics, GE-14 Malaysian General Election, Govenance, Leadership, Liberalism and Open Society, Malay, Malaysiakini, Malaysians, Moral Capitalism, Pakatan Harapan, Parti Pribumi Bersatu Malaysia, Politics, The Malays, Tun Dr Mahathir Mohamad. Bookmark the permalink. Its not easy to add to Azly Rahman’s criticism of the Malays but even he does not understand fundamentally the problem. Fact is What the Malay want, the Malay Agenda – equity but really hegemony by govt, inevitably lead to corruption abuse, its unavoidable. You cannot have govt owning and do some much and it does not lead to corruption and abuse, it simply cannot be done..Communism, socialist Europe gave a lot of data why this happens and the Malays do not get it. They want their cake and eat it too. it simply just does not happen. Its two ends of ths same dragon they are asking for for..That is the true bankruptcy of the Malay intellectual. BUT the craziness is not just the Malays, how is it possible that non-Malays or anywhere in this country can believe that a union UMNO-like PAS led by Hadi Awang and the old UMNO will end up as a worst version of what already proven could go horribly wrong if May 9, 2018 did not happen? Its the kind of intellectual bankruptcy that led to May 13, 1969 and they are letting it happen again. Malaysians system is one built on an idea of feaudal salafist meets kiasu + kiasi, with a bit of Indian caste fatalism. Consequence is grave. Tanah Melayu ultimately is the only place Tuhan gave the Melayu. 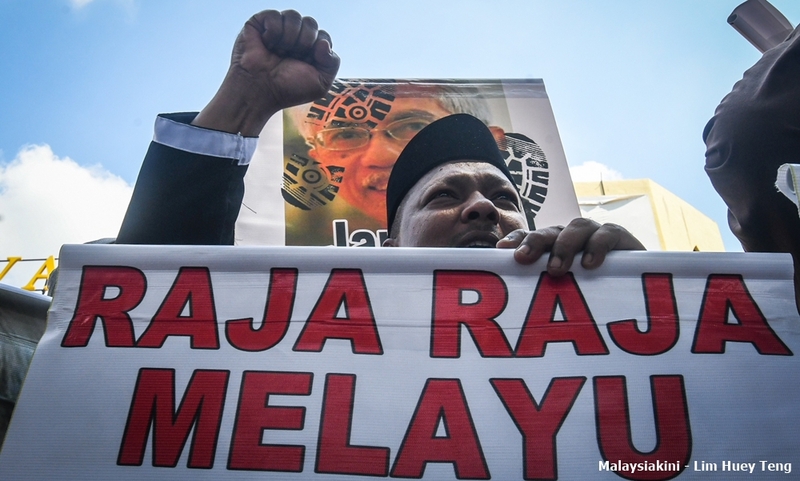 If the Melayu refuses the responsibility to rule the land properly, the outcome is clear. Tun Dr, DSAI… release the content of Reid Commission to the public today. Don’t hesitate. It is for your own people’s good. Public Intellectuals of Malaysia … file a petition to seek the release of the content of Reid Commission now. Else, blame no one else. Point at no one else. Stop this Welayu today. Since Diderot has been mentioned: Man will never be free until the last king is strangled with the entrails of the last priest. How true. In Malaysia the word for government is Kerajaan from the root word Raja while in Indonesia the government is known as Pemerintah from the word Perintah. What a difference. 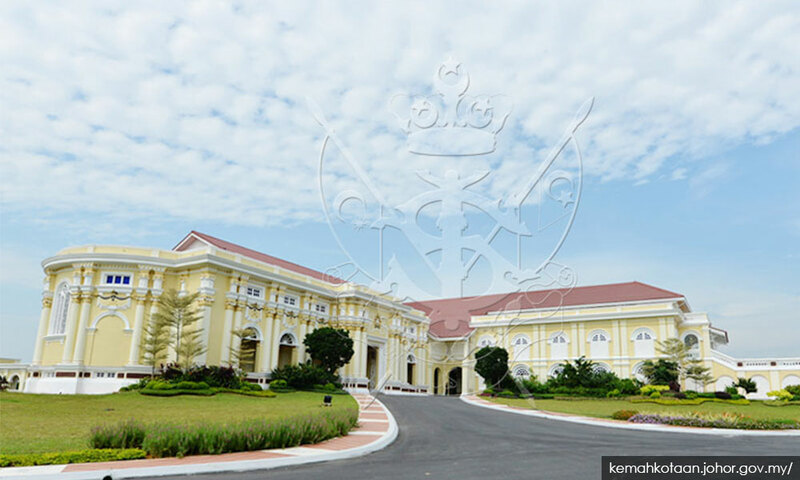 While in Malaysia the Monarchy is a Constitutional Monarchy, the Royal families still have a role to play in ensuring that the country is well governed. The Sultans and Agong needs to step in when there is evidence that the rakyat is being oppressed and when the Rakyat calls for attention (as in delivering a Memo to the Yang DiPertuan Agong) since the Agong is the Protector of all Malaysians. While there are few options for actions the Royal families can take, the Royal families need to voice their displeasure when unfair rules and laws are promulgated and not remain silent. Silence will project an image that the Royal families do not care for the welfare of the citizens and open themselves to being ridiculed. The nation have not gone half mad but rather drunk, drunk on the dedak that they are used to get from the BN government and now drunk on the freedom to criticise the government of the day for any and all shortcomings. 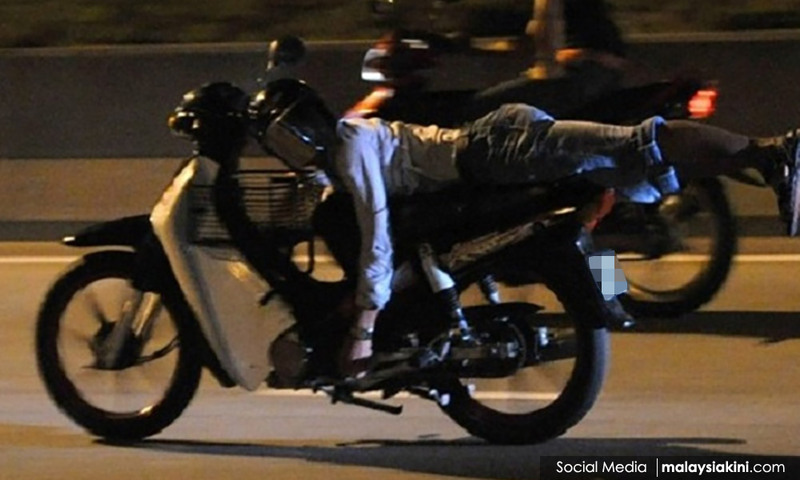 Now the Dedak recipient are like drunkards on a cold turkey treatment. This is evident that even the parties that make up the PH government are drunk on shooting down their coalition members openly. The former PM is on a binge like a drunken man spewing rhetorics and false accusation left right and center and the PH government is now curbing his action. If it is difficult for people like Azly to understand why Malaysians react the way they do, imagine foreign Fund Managers with billions in hand wanting to put them to work in the region. They must be really puzzled as to why Malaysians seem so indifferent to the billions stolen from them by the people they have elected to office and entrusted to look after their interests? While other countries, for example South Korea, were jubilant and happy to move forward on a clean slate, Malaysians seem keen to go back to status quo, as evidenced by the last few by election results. Which leads them to ask just how ingrained and systematic is corruption in Malaysia (the revelations so far on how GLC’s have been managed must be unhelpful to say the least)? And finally, with so many global headwinds on trade and digitization challenges, whether Malaysia can in fact clean up and move forward and therefore be a better bet to put their money to work. You are probably one of those ‘high’ moralistic individuals and ethical intellectual who lives in glass hothouse.. 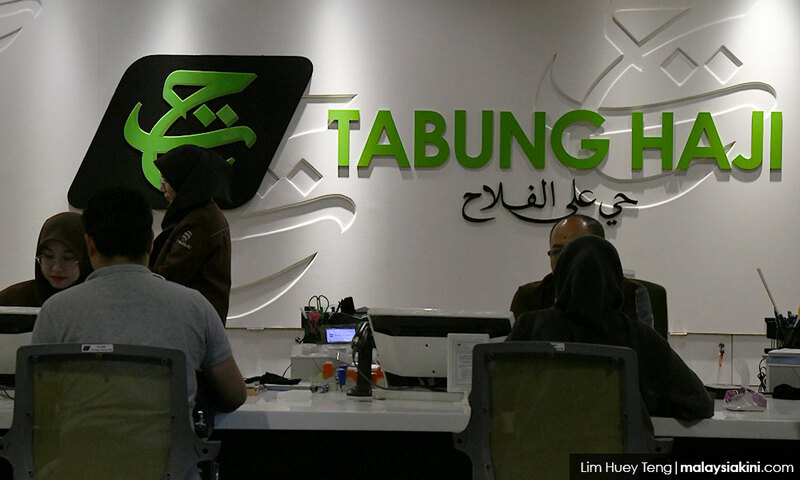 The Foreign (and equally, the Local) Fund Managers don’t give a flying Eff about the so-called ethics of anyone – least of all Malaysians and the racial-religious discrimination over here and now. They are more concerned about making their daily bread and are totally unbothered about your ignorant rantings. Ditto to all these pious articles about the the “Mislaid Moral” Compass. It boils down to the ‘Austerity’ but not Austerity Policies and your accountant clerk’s insistence that our debt ratio is sustainable – even though it’s increasing vis-a-vis GDP and the so-called trillion RM debt (which is not in line with World Bank and ADB definitions). Fiduciary and fiscal duties of the MoF and National Bank (BNM) are normally very much silent and away from public attention. But not so when we have a bloke that behaves as a Omniscient, Omnipotent Tokong who politicizes it no end. What about the dangers of Deflation? Shooting own kneecaps off, ya? When Foreign Funds sell, do not expect them to tell you all the reasons, especially sensitive ones. The Bursa sell down and now the Bond Market sell down (following news of potential downgrade in its World Government Bond Index – WGBI) cannot simply be because of Malaysia’s “Austerity Policies”. I remember not long after PH took over, Foreign Funds were complaining about Malaysia’s huge debt and Rating Agencies threatened to downgrade Malaysia. And PH Government’s response? They unveiled a 2019 budget which widens Fiscal deficit from 2.8% (BN forecasted) to 3.7% of GDP. Faced with a Sovereign downgrade (which will make our debt even more serious), this is hardly austerity in my view. 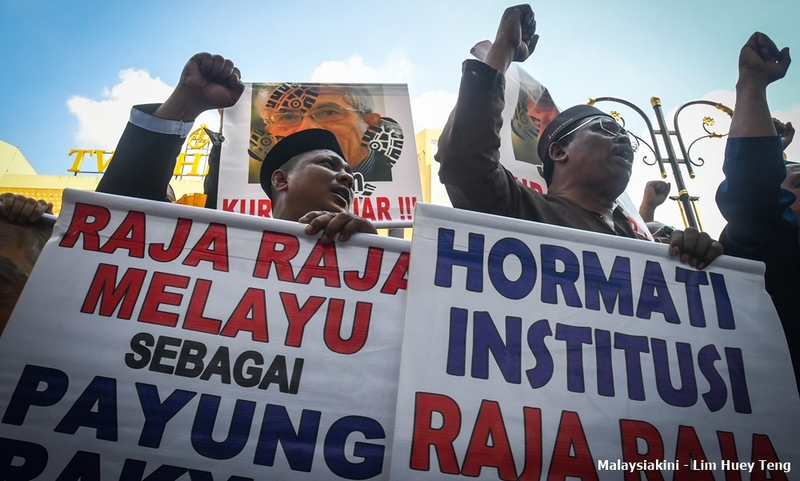 https://apnews.com/2b970c91fa0046e3b9945a33be3a6d9a Bottom line is Malaysia’s is in a bad financial shape, no thanks to the mismanagement of the past.. And tens of billions have been used to bail out troubled and politically sensitive GLC’s at a time when money is tight. To say therefore that Foreign Funds could not care less if Malaysians choose to revert back to the Kleptocracy/Cronyism days and that this should have zero effect on their Ringgit Portfolio/Holdings is a stretch, to say the least. Money Manager’s business is to appropriately price securities according to underlying worthiness. When something is overpriced, money manager would short. Else, long. Politics is one of the means to understand future trajectory of credit worthiness of Malaysia’s bond, relative to Malaysia’s peers. Rakyat’s business is to ensure they could individually and collectively get the most out from the ruling elite. The opposite is definitely true as how the ruling elite has always being trying to get the most out from the rakyat’s support by doing the least. To me, this is how fairness work. When rakyat don’t fight for what they could get out from their ruling elite, it is their own stupidity. No one else is going to mourn or care about it.